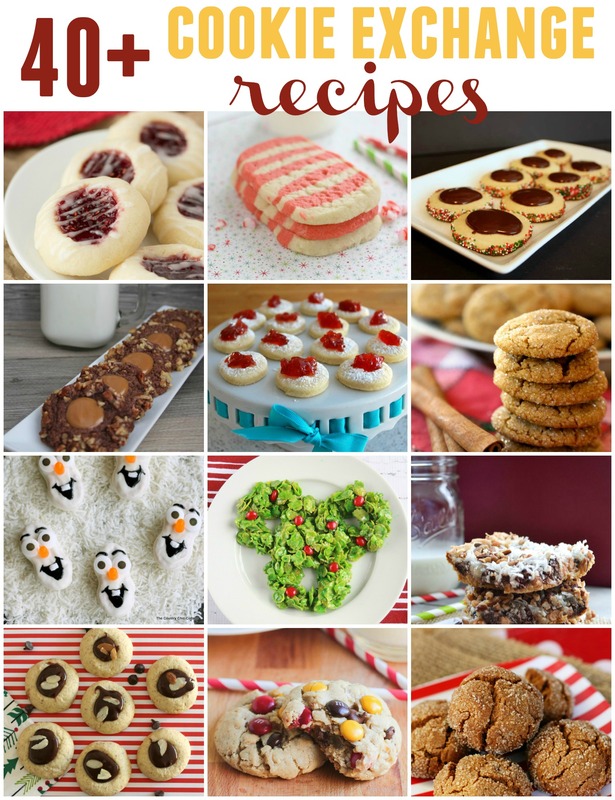 I have an early Christmas present for you…more than 40 fabulous cookie recipes! 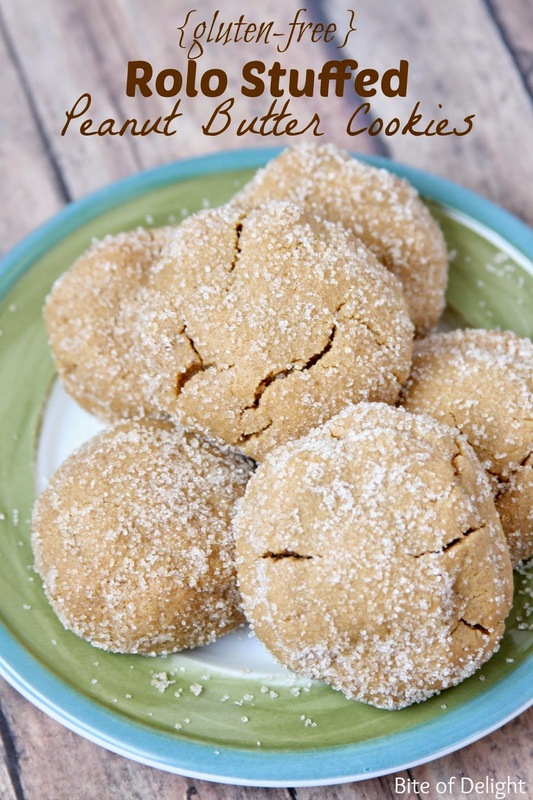 I’ve teamed up with some amazing bloggers to bring you all sorts of amazing cookies. Perfect for neighbor gifts, exchanges, or even Santa! 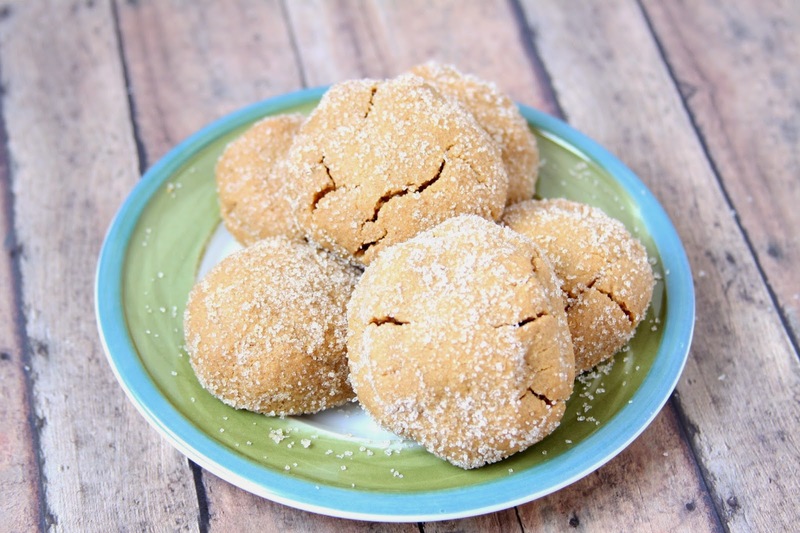 Check out my new favorite recipe for Rolo Stuffed Peanut Butter Cookies, and then scroll down to see over 40 more fantastic recipes! If you are gluten-free, baking can get tricky with different flours and added ingredients to make up for the missing gluten. These cookies are not just gluten free, but they are flourless, so there’s no tricky substituting here! Just a handful of ingredients, 10 minutes in the oven, and you are feasting on warm, gooey goodness! I sent one of these to my friend who is gluten-free (I needed a good quality control opinion), and she loved it! As did my picky kids. If they like something, just about anyone will like it! Combine the peanut butter, brown sugar, baking soda and egg in a mixing bowl. Combine the white sugar and pumpkin spice in a small bowl and set aside. Using a medium cookie scoop, make cookies by scooping two balls of dough, placing one on top and one underneath a Rolo. Press the dough around the Rolo so no chocolate is exposed. Continue until all cookie dough and rolos are used. Roll each cookie dough ball in the sugar/spice mixture, and place on an ungreased baking sheet. Bake for 10-12 minutes, or until cookies are just beginning to turn golden. Let cool and share with all of your gluten-free friends! Or eat them all yourself. I won’t tell. Or judge. These cookies don’t spread as much as regular cookies. If you’d like your cookies less rounded and more flat, flatten the Rolo a bit and form the cookie as rounded/flat as you’d like. It will flatten some, but will hold most of its shape. I used an organic white sugar (from Costco) that’s a larger granule than regular white sugar. This will work with regular sugar too. If you over-mix the cookie dough (which I’ve done in my kitchenaid! ), the dough comes out dryer and harder to work with. The end result is more crumbly too. This recipe is easily made without a mixer!